Anker SoundCore Bluetooth Speaker Just $23.98! Down From $80! You are here: Home / Great Deals / Amazon Deals / Anker SoundCore Bluetooth Speaker Just $23.98! Down From $80! Here is another amazing deal from Amazon! Get this Anker SoundCore Bluetooth Speaker in Blue for just $23.98, down from $79.99 PLUS FREE shipping with Amazon Prime and for orders $25 or more! 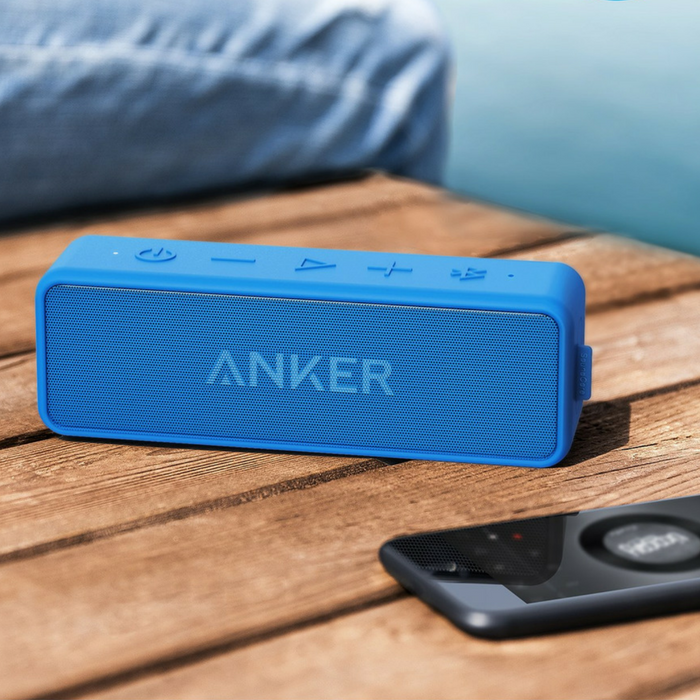 The Anker SoundCore Bluetooth Speaker in Blue delivers remarkable sound and incredible build quality at an unbelievable price. Boasting an impressive 24-hour battery life to play your soundtrack all day long, the SoundCore takes you on an unforgettable journey. Music is no longer lost in the background, it becomes the core of your adventure! Incredible Battery Life: 24-hour or 500-song playtime powered by a built-in high capacity Li-ion battery and Anker’s industry-leading power management technology. What You Get: Anker SoundCore Bluetooth speaker, Micro USB charging cable, welcome guide, the 18-month warranty and friendly customer service.